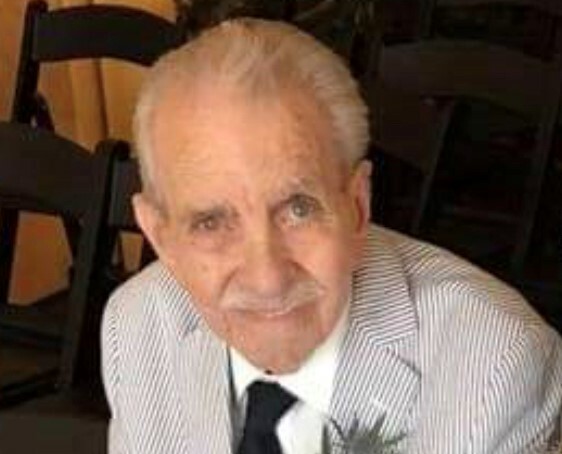 Travis Dean Rhodes, age 89, a faithful servant of the Lord Jesus Christ, passed away on February 6, 2019. He was born in Enid, Oklahoma on Easter Sunday, March 31, 1929. He served in the Marines and in the Army. He earned his pilot wings as one of the first Army helicopter pilots and served in Korea. After an honorable discharge from the Army, Travis was hired by Magnolia Oil Company (present day Exxon-Mobil Corporation) as the company’s first helicopter pilot. His extensive career included establishing the worldwide helicopter department for Mobil Oil Corporation. He retired from Mobil Oil Corporation after 34 years. Travis Dean Rhodes married Mary Anne Cornwall on August 2, 1947. They were happily married for over 71 years. Travis is survived by his wife, Mary Anne Cornwall Rhodes; his mother, Winona Jones, age 105; a son and his wife, James and Laura Rhodes, of Johns Creek, Georgia; a daughter and her husband, Sarah-Lynne and Robert McLaughlin, of Baton Rouge; a daughter and her husband, Susanne and Tom Feske, of Humble, Texas; five grandsons: Caleb Rhodes, Rob McLaughlin, Patrick McLaughlin, Matthew Feske, and Brandon Feske; one granddaughter, Rebecca Ladikos; and six great-grandchildren. Many thanks to Travis’ loving caregiver, Dianne Baham. Visiting hours will take place at Resthaven Gardens of Memory and Funeral Home on Monday, February 11, 2019, from 12pm until services at 2pm. Burial will follow at Resthaven Gardens of Memory. Pallbearers will be Caleb Rhodes, Rob McLaughlin, Patrick McLaughlin, Brandon Feske, Tom Feske, and Paul Balto.